You won’t find tropical birds in your backyard. Wild tropical birds are only found in very warm climates, but they are often raised as pets. Toucans, parrots, parakeets and cockatoos are among the smartest birds on the planet. They can learn tricks and even copy your speech. Some can sing songs. 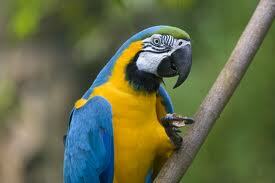 All about tropical and Exotic Birds: Macaw is the tropical bird. Tropical birds are often brightly colored and have long bills. They’re omnivores that eat seeds, nuts, fruit and insects. Some tropical birds eat small lizards and animals. 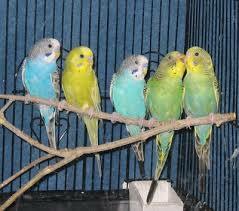 Parakeets also belong to exotic and tropical birds. 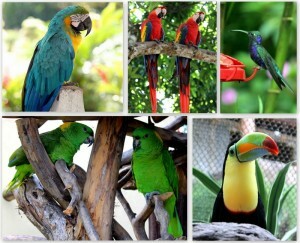 The parrot family includes parrots, macaws, cockatoos, cockatiels and parakeets, among others. Parrots can live 80 years or more. Tropical birds are very noisy. They scream and screech. These clever birds need a large cage or aviary. They get into trouble if they’re bored. 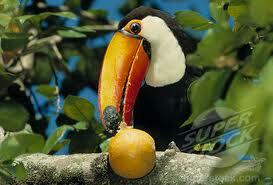 Toucans are tropical birds and love eating fresh fruits. Tropical birds are often brightly colored and have long bills. They’re omnivores that eat seeds, nuts, fruit and insects. A documentary clip that teaches all about all about tropical and exotic birds and how to identify them. Question: Do tropical birds make nests? Answer: Sometimes, but usually they lay their eggs in holes in trees. Question: Do toucans like fruity cereal? Answer: Maybe, but fresh fruit is better for them. Enjoyed the Easy Science for Kids Website all about Tropical and Exotic Birds info? Take the FREE & fun Tropical and Exotic Birds quiz and download FREE Tropical and Exotic Birds worksheet for kids. For lengthy info click here. Declan, Tobin. " Tropical and Exotic Bird Facts for Kids ." Easy Science for Kids, Apr 2019. Web. 21 Apr 2019. < https://easyscienceforkids.com/all-about-tropical-and-exotic-birds/ >.